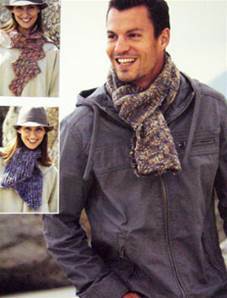 Zig zag scarf and lace scarf: 2 balls. Trellis pattern scarf 3 balls. 50g balls Connemara Chunky, also suitable for Click Chunky, Escape Chunky, Crofter or other chunky yarn.